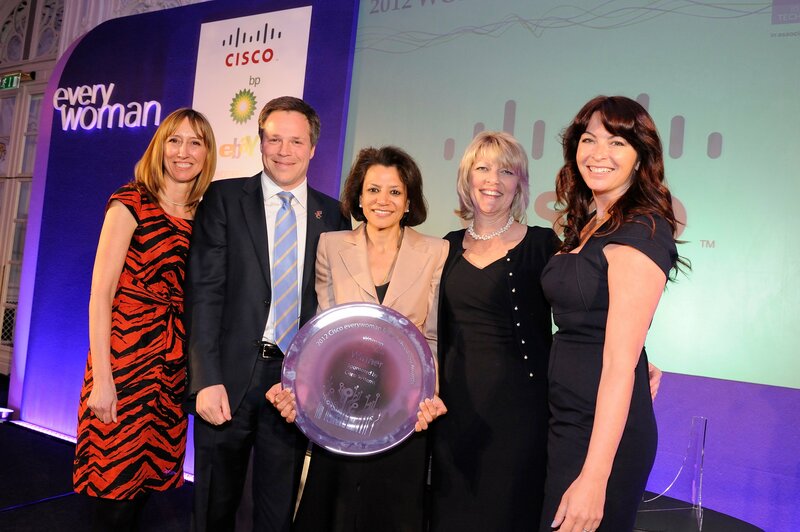 Winner Vin Murria, CEO of Advanced Computer Software Group, along with Tim Skinner, director UK enterprise for Cisco, everywoman co-founders Maxine Benson and Karen Gill and TV presenter Suzi Perry. Vin has over 20 years’ experience of publicly listed companies and private equity experience focusing on the software sector. She launched Advanced Computer Software Group in 2008 which is now a leading provider of patient management software solutions. Vin is a partner at Elderstreet Captial and a non-executive director of Greenco Plc.